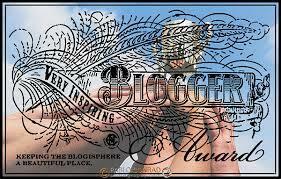 Very Inspiring Blogger Award – Lovely.Multifaceted.Chic. I’m super excited about being nominated by Kelleemudiva’s Beauty Blog for the Very Inspiring Blogger Award. Thank you for thinking of me. I hope my amazing followers and readers find some inspiration from my blog. Thank you for being an inspiration as well, diva! I love music. I consider it my first love. I’m from a very musical family on my daddy’s side. We sing or play instruments or both. The last instrument I played was the drums. No, I am not on Sheila E’s level of playing…lol. I have two tattoos. I have a small treble clef on my left wrist and the word music with a treble clef replacing the S on the left inside ankle area. I designed the ankle tattoo. For my first “career” job out of college, I worked as a chemist for a cosmetic company that made my health and beauty products like shampoos, conditioners, lotion, and etc. for companies like Walmart, Target, and Walgreens. It was the dopest job. My favorite color is purple. Yellow is my second favorite. My favorite snack obsession is gummy bears. Period. This is not a phobia, but I do not like birds. They kinda freak me out a little bit. I went white water rafting a few years ago. It was one of most exhilarating experiences. I definitely want to do it again. I would like to nominate these bloggers amazing and inspiring bloggers that I have connected with. I hope you have gotten a chance to see a little more of me through facts about me! Thank you for the nomination, i only hope the content i write continues to be inspirational. Thank you so much! I’m honored that you thought of me.